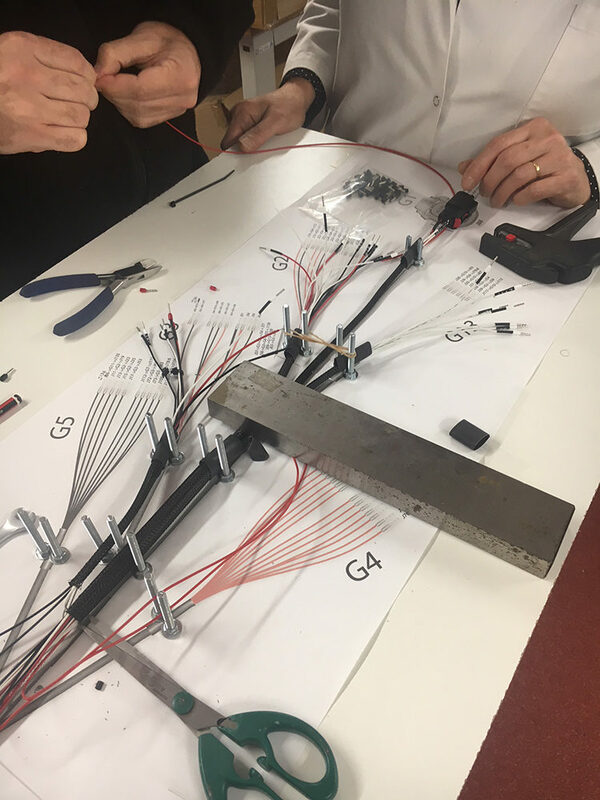 Thanks to our workshop in Ile de France, we have a manufacturing unit allowing the assembly of your wire harnesses. We realize all types of electronic assemblies integrating cable, connectors and overmolding. 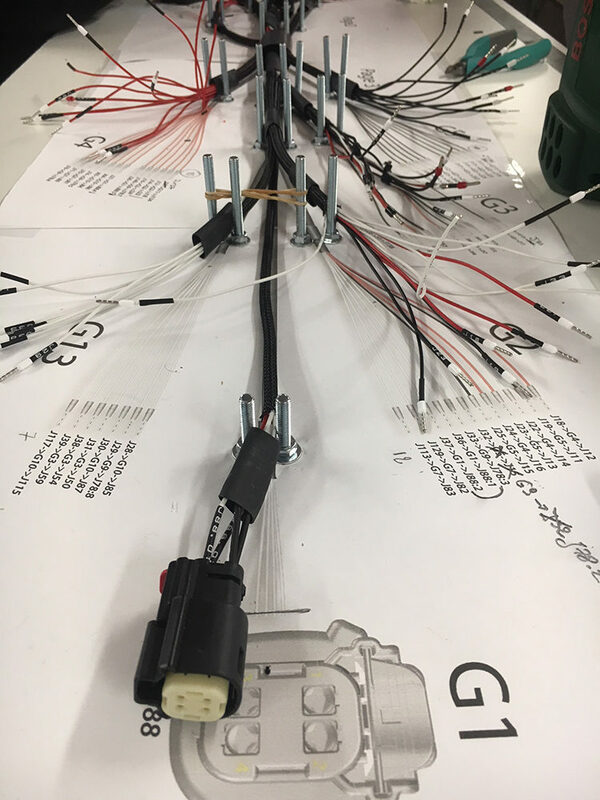 Better visibility for your technicians during their interventions because each connector is labeled and well identifiable. And most importantly, lower costs and greater ease in managing your supplies. 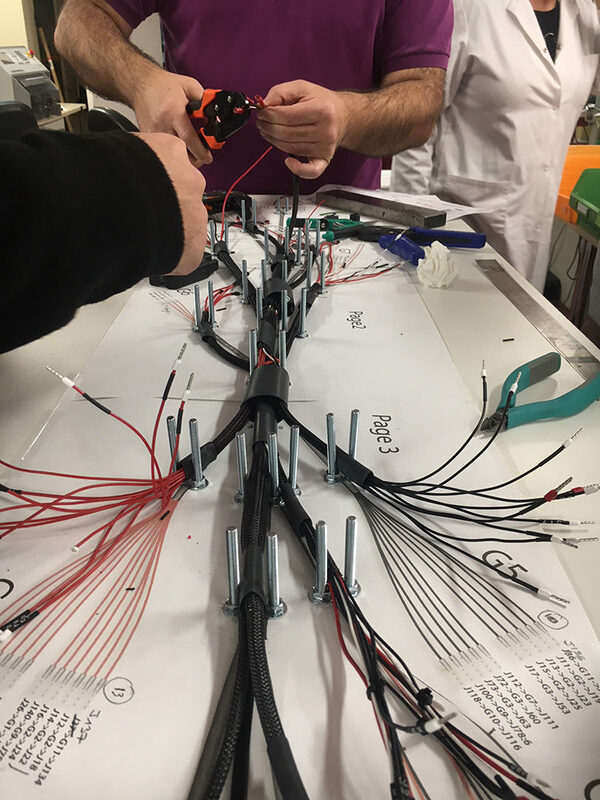 From the prototype harness control realized in short time in Ile de France, to the serial order made in ASIA at a lower cost in our factory, we know how to adapt to all your needs. Do not hesitate to tell us about your wishes, our engineers can assist you in the realization of your drawings.